Some people aren’t very good with change, I know a few people who don’t fare with it well, however recently I have been accused of it, which was aimed at me being unable to make creative changes, but I’ll come to that in a minute. Having Edward, and then William, my/our life has been constant change, like any one with a small child, though a child with special extra requirements, and one requiring surgery before the age of one, does sort of make your life a bit of a mystery tour! Life is constantly evolving, new schools, new challenges, and even though this year William starts secondary school, I feel pretty confident that we can all deal with the changes ahead of us. 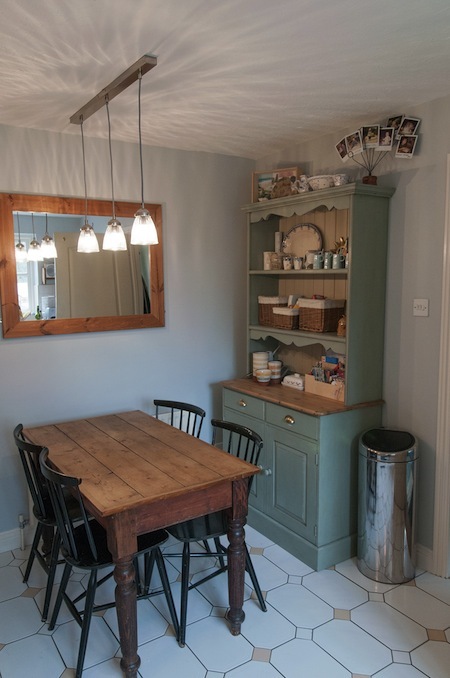 While on holiday we bought a dresser for our kitchen in Tavistock, and had it shipped up to Hampshire : ) If you are ever in Tavistock, check out Odds and Suds, a really lovely shop, handmade soap and vintage/antique furniture! Before the dresser arrived, we knew that we finally had to decorate our kitchen, which we have lived with since we moved in, 11 years ago! It was just one of those things, it just seemed like too much hard work! But now it is done, and I’m glad we made the change to make it happen! 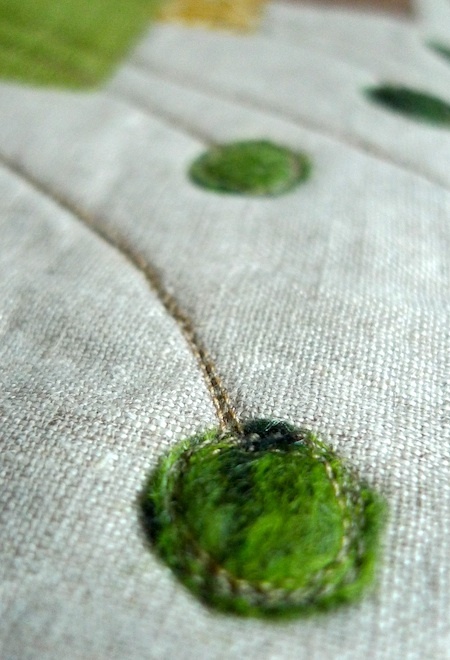 So creative changes, that is a tricky point, I really enjoy creating things using my own handmade felt, and the other fabrics I use like linen, I like learning how to do new things, and experimenting. But, should you make creative changes for the sake of it? I don’t think you should, I think being creative is like a long afternoon walk through woods, you go along different paths, some lead to a pretty pond, or some come to a dead end, so you have to go back. But it is something that is fluid, and develops slowly, and by not being pushed. If I created textiles as my full-time job, it would be different, but I make because I enjoy making, and I have made choices recently to maintain that level. So am I a stick in the mud with my creativity? Well we’ll see in a month or so, when I can show everyone my new work, though I’m sure someone will just say it just the same as all my other stuff! I like the things you make, the are distinctive, and recognisable as being made by you. But I do look forward to seeing your new stuff, whatever it looks like!